The New Jersey Sick Leave law, signed by Governor Murphy on May 2, will go into effect in October. New Jersey joins Arizona, California, Connecticut, Maryland, Massachusetts, Oregon, Rhode Island, Vermont and Washington with paid sick leave laws. While there will be some cost to employers, research shows that the benefits of paid sick leave laws outweigh the costs. Benefits include reduced employee turnover and the cost of hiring and training new employees, higher productivity and morale, and better public health. Starting October 29, 2018, New Jersey employees will begin to accrue leave. The accrual rate is one hour per 30 hour worked, up to a maximum of 40 hours in one year. Employees will be eligible to use the accrued leave 120 days later. For employees hired after the effective date of the law, benefits will begin to accrue immediately and they will be eligible to use the leave after 120 days. However, employers may agree to an earlier date. A child’s school-related conference, meeting, function, or other event. Employers may require reasonable documentation (such as a doctor’s note) for absences of three or more days. Documentation depends on the type of absence and is spelled out in the law. There are a few categories of workers not covered by the law. It does not include employees in a collective bargaining agreement in the construction industry, per diem health care workers, or public employees provided sick leave. 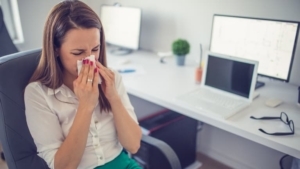 The new law provides that employee sick leave does not accumulate beyond 40 hours in any one-year period. The law provides that you may carry forward unused time from one year to the next as long as your accrued time does not exceed 40 hours. For more information, contact The Lindenberger Group at 609-730-1049 or info@lindenbergergroup.com.